Joan Mir's Moto2 crew chief Pete Benson confident the young Spaniard can follow in the footsteps of Maverick Vinales and Alex Rins as a successful MotoGP rookie with Suzuki. Of the four rookies in MotoGP this season, Joan Mir is the least experienced, with just a single year in Moto2 and total of three seasons in grand prix under his belt. But he's also the only newcomer to have secured a factory seat, at Suzuki, having been at the centre of a bidding storm between three manufacturers by the time he took a first Moto2 podium at Le Mans in May. Three more rostrums and sixth in the world championship eventually followed, although Mir will be the only 2019 MotoGP rookie without a Moto2 victory. While also not the fastest rookie in either of the post-season tests at Valencia and Jerez, Mir has been within half-a-second of Suzuki team leader Alex Rins and attracted praise from various onlookers. "I was impressed by Mir. He was aggressive, but in a good way," said Tech3's Herve Poncharal after watching trackside at Jerez. Such plaudits won't have come as a surprise to Pete Benson, crew chief for Mir during his lone season in Moto2 with Marc VDS. Speaking to Crash.net at the Valencia season finale, the New Zealander credited VR46 champion Francesco Bagnaia with building on his rookie year to climb "a step above everybody" in Moto2 this season. "In a class like this where everything is the same, the set-up is super important but the biggest thing comes down to the rider," Benson said. "Bagnaia had a couple of really good results at the end of last year, obviously realised he could do it, came back this year with a good team and good attitude and just smoked everybody." But Benson - crew chief for Nicky Hayden during his MotoGP title year, followed by further world championships alongside Tito Rabat and Franco Morbidelli in Moto2 - saw the same kind of winning mindset in Mir, albeit without the Moto2 experience. Indeed, Mir's Moto2 season almost mirrored Bagnaia's campaign of the year before, both claiming four podiums and top rookie honours. "Winners all have this kind of mindset, where they don’t understand why they didn't win. Joan has that mindset. Which sometimes is a negative, because you can't win them all and there's a lot to learn in a new class," Benson explained. "If you look at his performance this year, I think it's fair to say Joan has either been really good or really average. We've had four podiums - two seconds, two thirds - plus a couple of fifths and sixths and five DNFs. "But up until Valencia, Joan had basically the same number of points as Bagnaia last year - the new race in Thailand being balanced out by not racing at Silverstone - and [they finished with] almost the same championship position: Sixth for Mir, fifth for Bagnaia. "So when you look at Joan's season from a rookie-year perspective, it's been a really, really good performance. But he's still been really frustrated with his bad results. "It's one of those things. These people have that determination and self-belief, but it still then comes down to learning how to ride the Moto2 bike and how to change riding style in different conditions." Benson also said Mir's Moto2 performances did not correlate with his title-winning Moto3 form, causing some frustration. "To be honest this year we’ve been surprised because the tracks we were really good at, were the ones we thought we wouldn’t be good at. 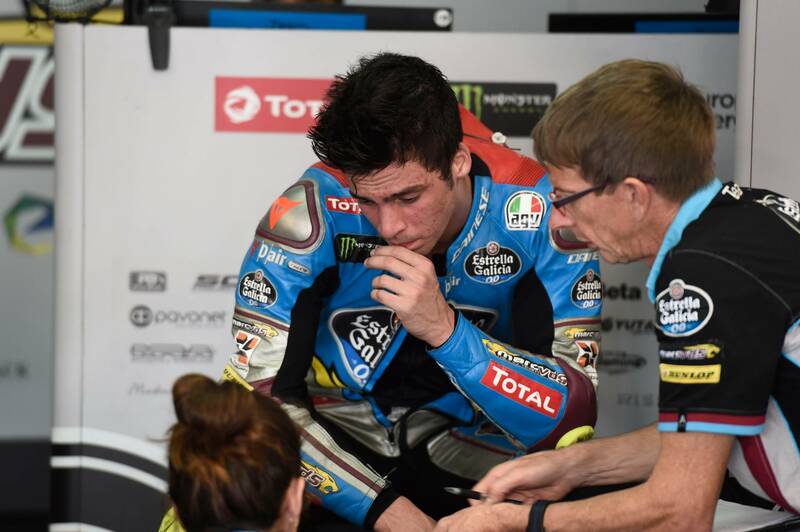 And the ones where we've been bad were the ones where last year in Moto3 Joan was really good." The reason was unclear, but "I think it's also expectation from him, that he thought he'd turn up and be super fast at those places - like the Red Bull Ring, where he absolutely blew everyone away last year and this year was for us a disaster. "I think the expectation is sometimes bigger than you can produce and you start digging a hole. But then you have somewhere like Phillip Island, which I didn't think he would be good at and he nearly won."